This Peacock Venetian Masquerade Womens Mask is Made of Papier Mache and is about 9" tall and 5.5" wide. It features a beautiful black sparkled design painted right on it, and includes peacock feathers that are about 4" off to the side of the mask. 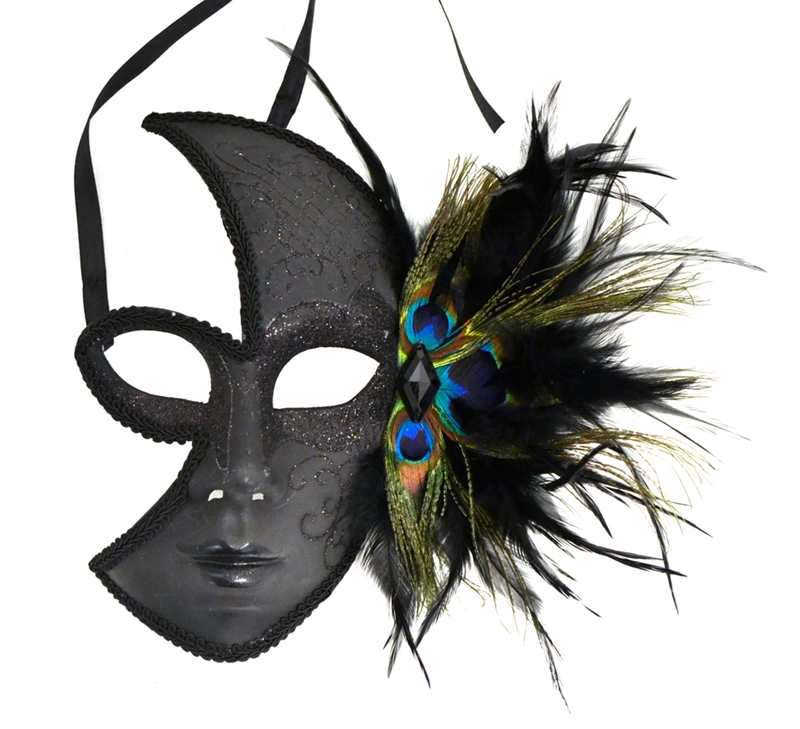 Keep your identity hidden with this masquerade mask perfect for Halloween, masquerade balls, and Mardi Gras, and New Year’s Eve.